Our double Plumeria Hawaiian Lei represents Hawaii in all its fragrant splendor and color. To simplify your shopping experience (and to offer you even greater savings) we have created the bulk order category! The simplicity and hardiness of our beautiful Dendrobium Hawaiian Leis make this purple creation our number one best seller. Beloved Awapuhi ginger blossoms are married with elegant white orchids to create a full-bodied stunner. This is a crowd pleaser. Lovely orchid compliments the soft lines of our dazzling Tuberose lei. A perfect Fragrant Gift! Romantic roses and luscious Tuberose unite for a stunning hawaiian lei. Feminine and dainty, don’t let its down-to-earth appearance fool you! This lei is simply charming. A perfect wedding lei for the bridal party or mother-of-the-bride! Gorgeous color, velvety petals, and a soft spicy scent make this flower lei a “sure thing.” This lei is twice as thick as its single counterpart and twice the beauty. Feel the power of the islands with this fiery explosion of color and elegance in this fresh hawaiian lei. A top seller! Fragrant tuberose is complimented by the dazzling colors of carnation. Sure to be a success for any occasion! A union of purple Orchids and white Tuberose compose a melodious tune that will appeal to all of your senses. This is the ultimate ginger lei! Hundreds of deliciously scented flowers are layered to create a bodacious, eye-catching lei. AS SEEN IN BRIDES MAGAZINE. Fragrant ginger buds are expertly woven (Micronesian-style) to create a true work of art. Purple orchid petals are used as eye-catching accents in this Micronesian-style ginger lei! A harmonious union of Orchid and Maile will earn someone the center of attraction. Purple orchid looks beautiful on a groom-to-be. Our Haku-lei is a colorful floral headpiece which flatters all who wear [it.] 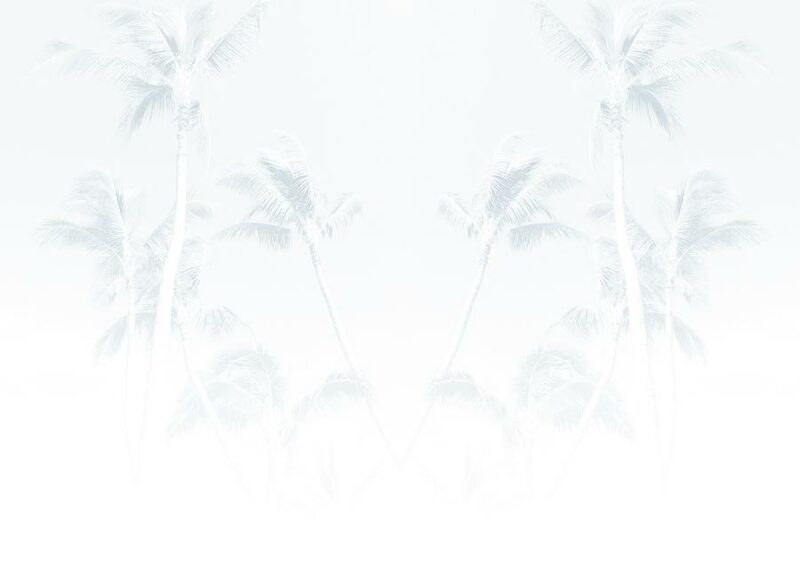 A traditional, exclusive gift of Aloha! Heavenly white blossoms of island Tuberose with a delicious sweet fragrance In this stunning Hawaiian Lei! Flutter and flash this eye-catching butterfly-style lei! This is a rare find with spring and romance in mind. The brilliant combination of single green orchids with roses makes this lei an every day favorite. Beloved Awapuhi ginger blossoms are married with elegant purple orchids to create a full-bodied stunner. This is a crowd pleaser. Our Wristlet Haku-Style Lei is a colorful floral piece which flatters all who wear [it.] A traditional, exclusive gift of Aloha! Flutter and flash this eye-catching butterfly-style lei! You can also get this in RED/WHITE or BLUE/WHITE! This is a rare find with spring and romance in mind. Yet another impressive and ingenious creation! Our orchids are colordyed and overlapped to show a striking two-toned work of art! You have to see it to believe this lei. This amazing tucked-in style butterfly takes 2 hours to create. Another unique and dazzling orchid creation with alternating "butterfly wings" made to look like little bow-ties! 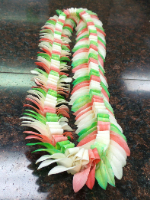 This is the ultimate group of fresh Hawaiian leis for your graduate! We call this package "The Big One" Fragrant version so you can celebrate graduation, Hawaiian-Style! Savings of 15% when purchasing this package! Another unique and dazzling orchid hawaiian lei creation with alternating "butterfly wings" made to look like little angel or butterflies!This is perfect for the holidays to surprise your teachers, co-workers, or family! By popular demand, our color-dyed blue and white leis are a huge hit for graduation or wedding season! What could be cooler? Red and white orchid leis are perfect for your party for graduation, Christmas, or Valentines! There is something composed and well-dressed about our green orchids. When sewn with white orchids, the subtle contrast makes this garland a perfect match for any occasion. OMG! The popular Rainbow Orchid lei is now available in bulk quantities! This lei is jaw-dropping gorgeous! Just plain Awesome! This Hawaiian Lei is handsome, long lasting, durable and emulates the original Maile Lei! This stunning Hawaiian leis is fragrant and perfect for graduation or your special wedding day. Our double fragrant Plumeria with Green Orchid is a store fave!!! Looking for a beautiful hawaiian lei? Look no further. Our double Plumeria mixed with purple orchid is a stunner.